Product prices and availability are accurate as of 2019-04-20 13:47:28 EDT and are subject to change. Any price and availability information displayed on http://www.amazon.com/ at the time of purchase will apply to the purchase of this product. 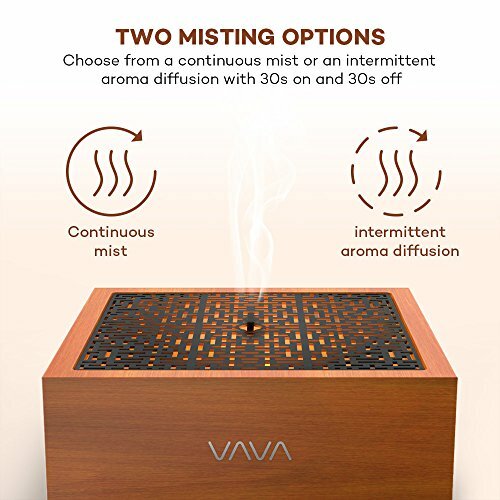 Recalling ancient times and noble traditions, the diffuser is realized with an innate, oriental styled symmetry that resembles the surreal perfection of a Japanese garden. A solid real wood square base is crowned by a perforated grille for a diffuser that looks traditional and feels precious. 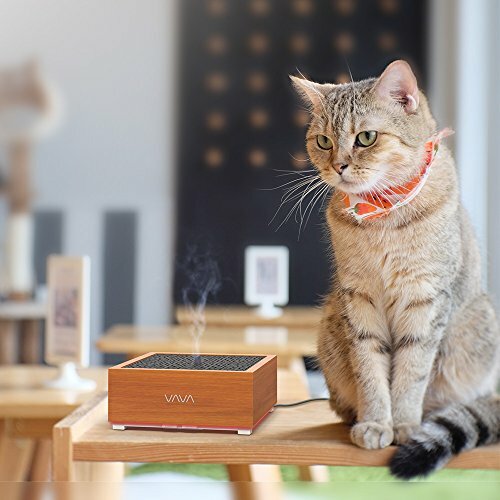 Simply more than a mere device to spread your fragrances, this aroma diffuser is made of superior oak wood and feels as premium as it looks. 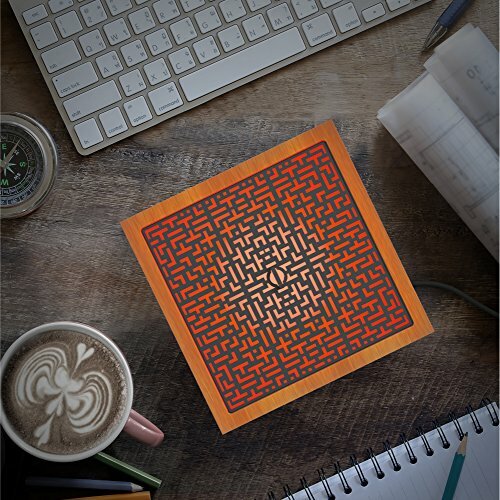 Set it on your desk at work, in the living room, or on the bedside table to ornament your furniture with a tangible emblem of quality. 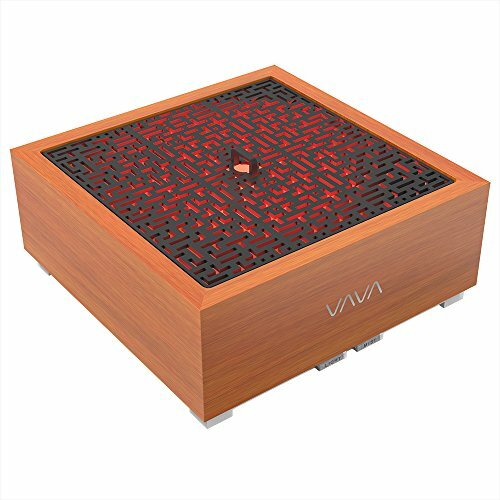 Pushing its visual appeal beyond its elegant wood construction, this Japanese garden-inspired aromatherapy diffuser glows with 5 reinvigorating LED lights. Let these alternate in a perpetual carousel, or set your favorite color and have it soothe your spirit and please your eye. 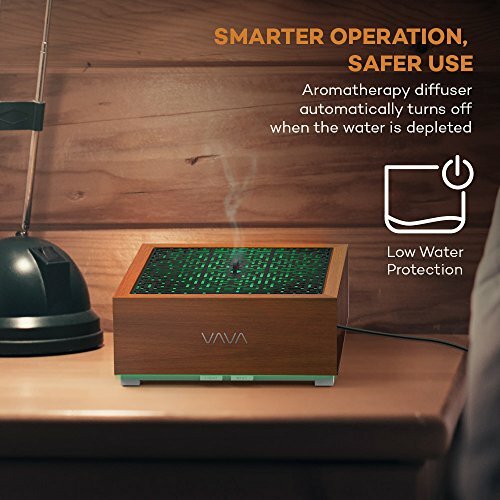 Depending on the sensitivity of your nose or intensity of your aromatherapy routine, the diffuser allows you to set a continuous operation or an intermittent one that alternates 30s on and 30s off. 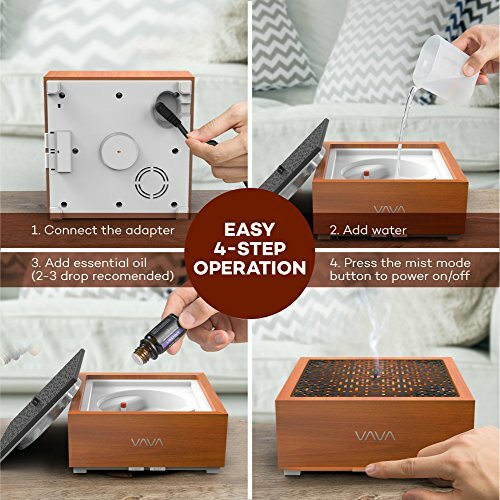 Both modes will automatically terminate as the water runs out.